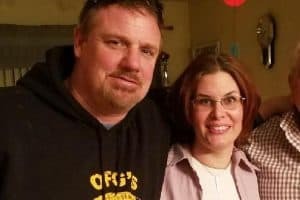 The owners, Jill & George Malanga, have owned the Kiddie Academy in Sparta for almost 20 years. Mr. Malanga has his Masters Degree in Education and has taught for over 25 years. Mrs. Malanga has a strong business background which includes overseeing many Nutri-System locations. Combined, the pairs knowledge of education and business have led to great success. The Malangas believe in the importance of being on-site owners, working hand in hand with the school's administrators to maintain high level standards. Miss Roe is one of our two directors in the building. She has been with Kiddie Academy since 2001, a member of the Sparta family since May 2011. She has been promoted to director after 13 years as assistant director here and at other Kiddie Academy locations. Prior to her moving up to the office, Miss Roe spent several years as an infant room teacher. She is the glue that keeps our KA family puzzle together. Miss Roe works hand in hand with the teachers to keep the classrooms full of both academic and social learning. She encourages many activites that promote self esteem and pride for the children. She believes there should be a balance between child and teacher initiated activities in the classroom. She is friendly and approachable and the staff & families all love her! Miss Dana is the second director on staff. She has her dual Bachelor's degree in Early Childhood and Elementary Education. Miss Dana has been with Kiddie Academy since 2002 and has worked with every age group in the building; most recently in our Year to Grow classroom. While at the Wantage school, Miss Dana received the award for Teacher of the Year from Kiddie Academy International in 2010. She has joined the administrative staff after almost 25 years of classroom experience. Miss Dana is passionate about curriculum and takes advantage of turning even the smallest experience into a teachable moment. The faculty at Kiddie Academy of Sparta are well seasoned. Many employees have been with the school from five to ten years or better. The faculty is certified in both CPR & First Aid. The teachers have a genuine love for what they do and work great as a team. Many seasoned faculty members take the new staff under their wing and show them the ropes while they settle in at the school. We have quite a diverse faculty, each member of our team having unique abilities. Miss Marinette, our closing administrator, is also our French and Spanish teacher. She visits each of our Preschool classrooms periodically to give language instruction. She has been with us since September 2004. Miss Marinette is also so creative and usually heads up any decorating that is needed in our school. She helps give the school such a warm and comfy feeling! Many of our teachers also help in so many ways, and it's nice to give them room to use their abilities to help make our school such a great place. Also on staff are two fabulous ladies who help out where ever we need them. 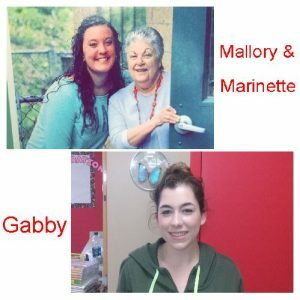 They are Miss Mallory and Miss Gabby. Miss Mallory has been with us since March of 2011 and is currently pursuing her nursing degree. Miss Gabby joined us in August of 2017 and spends most of her time in the Lobster room, but you will also find her in other classrooms on occasion. When not in the Stingray classroom, Miss Candida spends her mornings running our kitchen for us and preparing all the meals we serve here at the school. She adds that special ingredient, love, to all she does. Miss Cheryl McLoughlin is our Infant Teacher. Miss Cheryl has been with our school since February 1997! Miss Cheryl is a certified teacher and has attended many trainings thoughout her career here at Kiddie Academy. She is very knowledgable in the ever changing field of Early Childhood Education. Patience and love are the keys to helping the babies to reach each of their milestones! Miss Kate is the assistant teacher in the Beluga room. She joined us in November of 2017. Her quiet confidence and patience make her a welcome addition to our baby room where our smallest friends need lots of love and care. Miss Taina can also be found snuggling with our youngest students. She is currently studying music at CCM and has been with us since September of 2016. Her infectious smile and positive attitude make her a welcome addition to the Kiddie Academy Family. Our younger toddler classroom is led by Miss Laureen. She has been a part of the Kiddie Academy family since September 2016. Miss Laureen can usually be found patiently answering the many questions that toddlers have! She comes to us with many years of childcare experience, has her CDA and has also spent time as an administrator. She loves to share her science and crafty knowledge with her class, and they can often be found up to their elbows in messy fun. 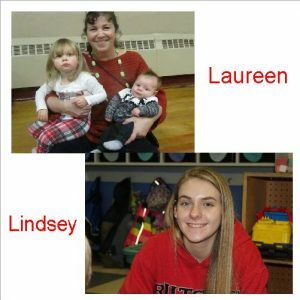 Her assistant, Miss Lindsey, is the newest addition to the building and is enjoying getting to know all of our children. Our older toddler classroom is led by Miss Ashley Lake. Ashley has been with Kiddie Academy since 2002. 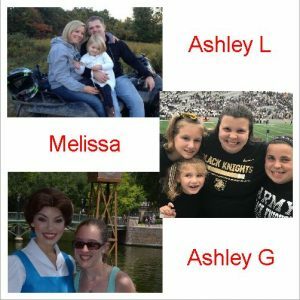 Ashley loves taking the children outside, singing to them, and nurturing them. Miss Ashley loves to read to her little friends in the Penguin class. She also believes that having excellent communication with the parents is essential to a successful classroom. Miss Melissa is the regular Penguin assistant and joined our Kiddie Academy family back in October 2017. She loves to get down on the floor and play with the children, all while encouraging them to play nicely together and use their words. Miss Ashley Green joined us in October of 2016 and has her certification in K-12 English and PreK-3rd grade special needs. 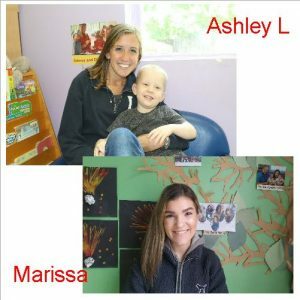 Ashley currently helps out in the Penguin classroom in the afternoons, but has been in many of the classrooms throughout the school. She also works in the public school in a classroom for children with special needs. Miss Mary is the lead teacher in our Sea Turtles class. She has has been with us since September 2014. She has an abundance of patience and enjoys watching the children learn and explore on their own. 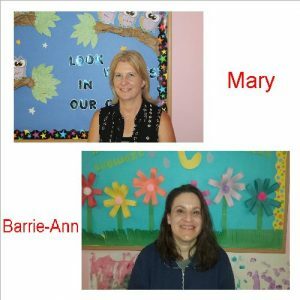 Miss Barrie-Anne recently joined us as the assistant in the Sea Turtle room and does a great job of helping keep the classroom running smoothly as well as teaching the children patience, kindness, and much more! Our older two year old classroom is led by Miss Ashley Layton. Miss Ashley has been with us since November 2015. She just recently earned her associates in early childhood education at CCM and is very excited to share her knowledge with the Seahorse class. Miss Marissa is the assistant in the Seahorse class. She has an abundance of energy and always wears a smile. She hopes to be a pediatric oncology nurse in the future. Miss Marie is the Lead Teacher in our Stingray Classroom. She has her CDA certification and has been with us since August 2008. Miss Marie is extremely creative and loves letting the children get messy while exploring. Miss Marie believes in the importance of helping the children learn to communicate. She encourages independence to help build self-confidence and teaches children to share and help each other. Miss Donna L is the morning assistant in the Stingray room. 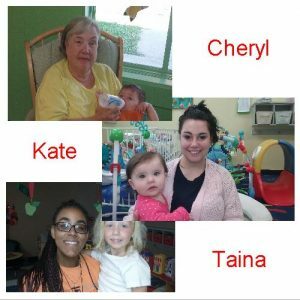 Miss Donna joined us from the Kiddie Academy in Wantage in the fall of 2014 after working at the other center for several years. Miss Candida is the afternoon assistant. She joined us from another childcare center in October of 2016 and has her CDA. Miss Candida loves to get down with the children and help them explore. Miss Katie is the lead teacher in the Dolphin classroom. She holds an Associates Degree as an Early Childhood Specialist. 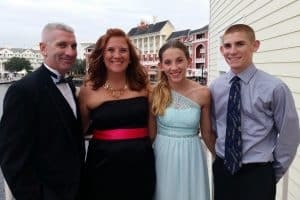 Katie has several years of classroom experience as well as having her own children. She joined our KA family in September 2016 and loves to help children explore their imaginations and dream big! Miss Vanessa is the assistant in the Dolphin room. 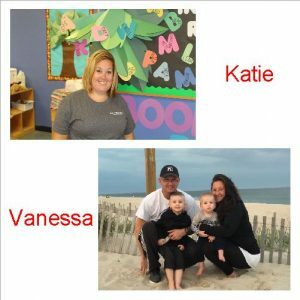 She joined our KA family first as a parent, then as a staff member and along with Miss Katie runs a very busy classroom. Our younger Pre-K class is led by Miss Georgie and her assistant Miss Donna. Miss Georgie has her Bachelors in Psychology & Education and is currently working on her Masters in Special Education. 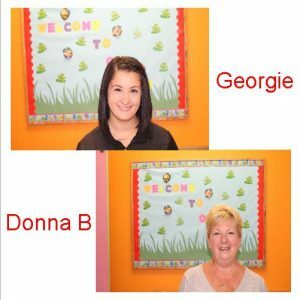 Miss Georgie was new to Kiddie Academy for the 2017 school year and we are happy to have her with us. 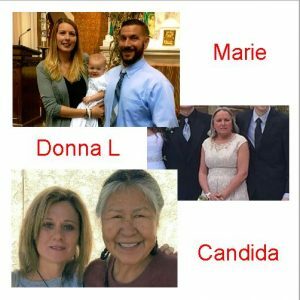 Miss Donna has been with Kiddie Academy since September 2004, and has her CDA. She loves to encourage the children to use their imagination and explore the world around them.